We hope you are enjoying your Fellowes AeraMax Air Purifier. This video will instruct you on how to replace your True HEPA and carbon filters. First, locate the filter drawer on the right side of your AeraMax Air Purifier. To open the filter drawer, compress the tabs on both sides, and completely pull out the filter drawer. If your air purifier is on, you will notice that it will automatically shut off as you pull out the filter drawer. Remove and discard any dirty filters, and place the new, clean filters into the filter drawer. Be sure to insert the carbon filter first, followed by the True HEPA filter with Aerasafe anti-microbial treatment. You will notice that the arrows on your True HEPA filter point towards the filter drawer. Next, simply push the drawer back into the air purifier until a click is heard, and your air purifier will automatically turn back on and resume functioning. The next step is to reset the filter indicator light on your AeraMax Air Purifier. Make sure the filter drawer is securely closed, and the air purifier is on. Locate the filter icons on the display panel. Next, press and hold the filter icons for three to five seconds until you hear a short beep. At this time, the HEPA filter icon will flash amber. Next, tap the filter icons to alternate between the HEPA and carbon indicator lights. Once the desired filter is illuminated, press and hold for three to five seconds, until you hear a short beep. The indicator light should turn off. Repeat this process for each filter as needed. Under normal usage, Fellowes recommends that the True HEPA filter be replaced every 12 months, and the carbon filter be replaced every three months. Enjoy using your Fellowes AeraMax Air Purifier. It's the maximum protection for the air you breathe. Check out the video for a tutorial on how to change your True HEPA and carbon filters for the Fellowes AeraMax Air Purifier. 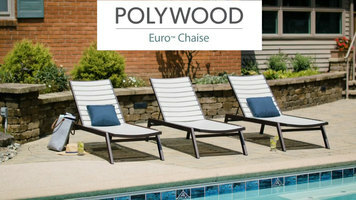 Discover the modern style and resilient durability of the Polywood Euro chaise lounge! 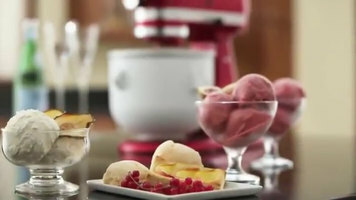 Use your KitchenAid stand mixer and ice cream maker attachment to create fresh, creamy, homemade ice cream, sorbet, and gelato! With a few easy steps, you can make a variety of frozen desserts. 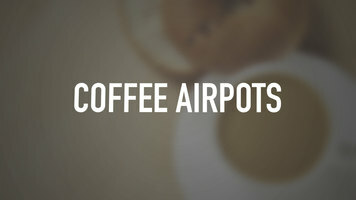 Provide customers with fresh, piping hot coffee all day long with one of our quality coffee airpots! The color-coded push buttons or levers allow you to quickly distinguish between decaf and regular coffee.